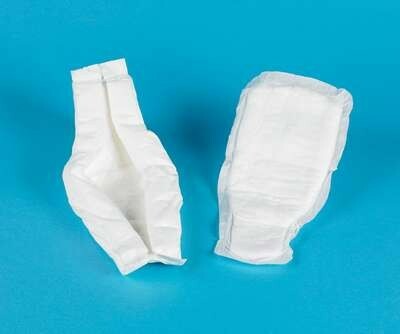 The Suprem For Men pads are specifically shaped to provide maximum protection in the front area of the pad. If the pad is turned around it can also be used for protection with faecal smearing. The Suprem For Men pads are specifically shaped to provide maximum protection in the front area of the pad. If the pad is turned around it can also be used for protection with faecal smearing. The shape of the pads adapts to the male anatomy, providing a more comfortable and secure fit. Discrete with an anti-leakage security. Ideal for the light to moderate incontinence. The extra pack of 28 have an absorbancy of 600mls. The super pack of 21 have an absorbancy of 800mls.